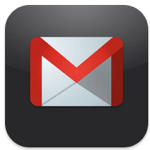 Gmail has just updated its native Gmail iOS app and HTML5 web app to support sending of emails from an alternate address, as noted by iLounge. iOS users can now select from any of their configured “From” addresses when sending a new e-mail message or even replying to an existing inbox message. Like before, Gmail will select the appropriate sender address automatically when replying to a message, however the new feature now allows users to visually confirm which address will be used when composing a reply. Alternate address support has been added on Google’s end and does not require an update to the native Gmail iOS app; users of the native app should see the option appear over the next few days.